Dock In i Kota Kinabalu, Malaysia: Reservér nu! We fuse hotel-like features, such as a 24/7 reception and snazzy social lounge, with the convenience, value and heart of a hostel. We’re perfect for travelers seeking new adventures without compromising on modern expectations. 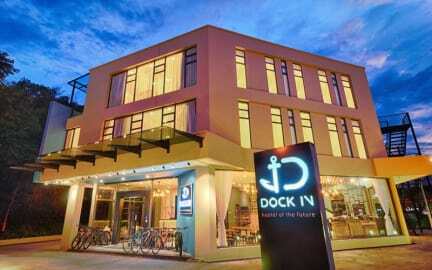 Dock In provides a safe haven for your downtime, so we also totally get that you need some luxuries of home when in a new town. Our minimalist-chic rooms are fitted with cushy beds and fresh sheets with your personal space in mind, while shared spaces at the lobby are packed with all the good stuff to fulfill your travel needs.